High quality paint for Brushes and Airbrush. 17ml bottle. The paint is designed to be effective for airbrush and brush, and is water- soluble, avoiding strong smells and harmful solvents. Non toxic. It can be easily thinned with our specific acrylic thinner or water if necessary. 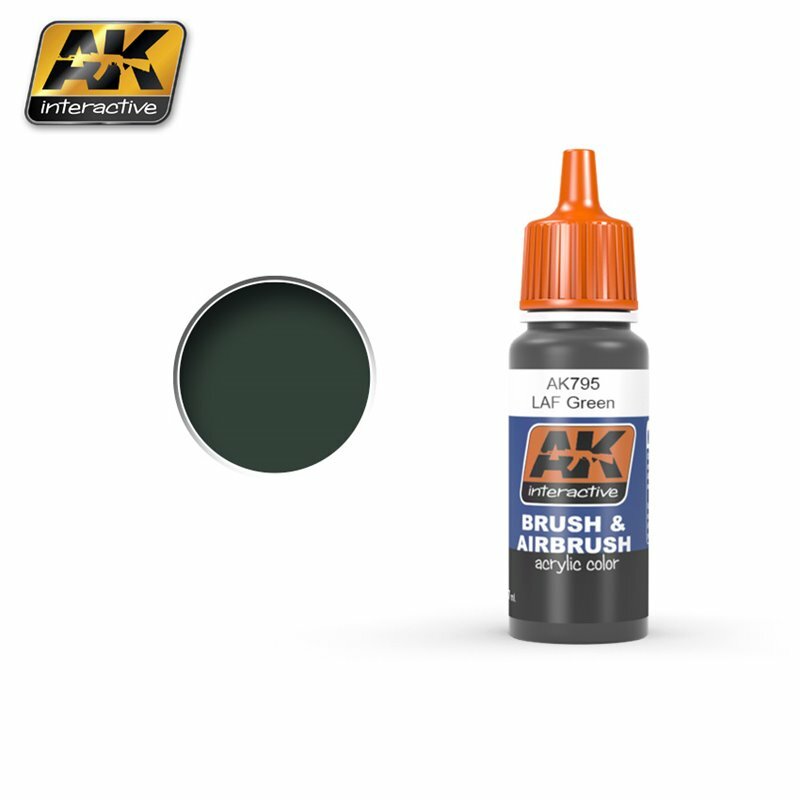 We recommend AK-712 Acrylic Thinner for thinning. There’s no need to dilute the paints when you decide to use your airbrush. When applied by brush they also have a greater degree of coverage. Use alone or mix with other acrylic paints to obtain a different color. Shake before each use. Dries completely in 24 hours.